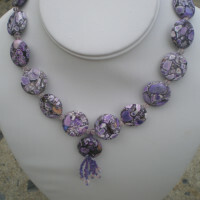 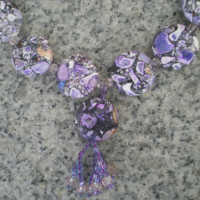 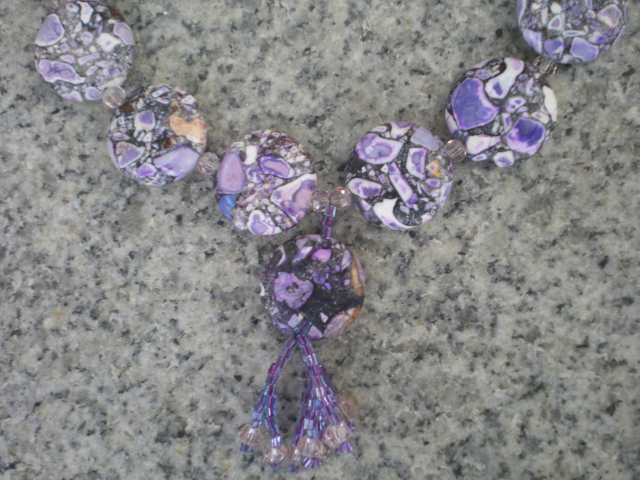 16 3/4″ Long handmade beaded necklace, Magnesite beads with a mosiac pattern with colors of purple, lavender,,white,gray. 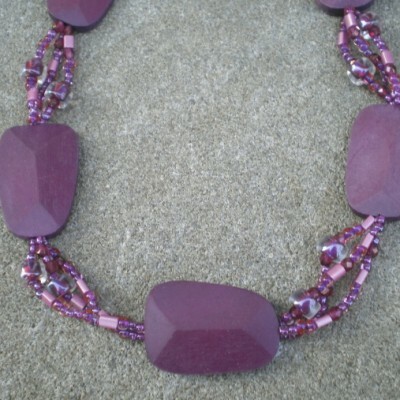 Light pink swarovski crystals in between the magnesite beads. 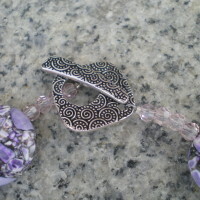 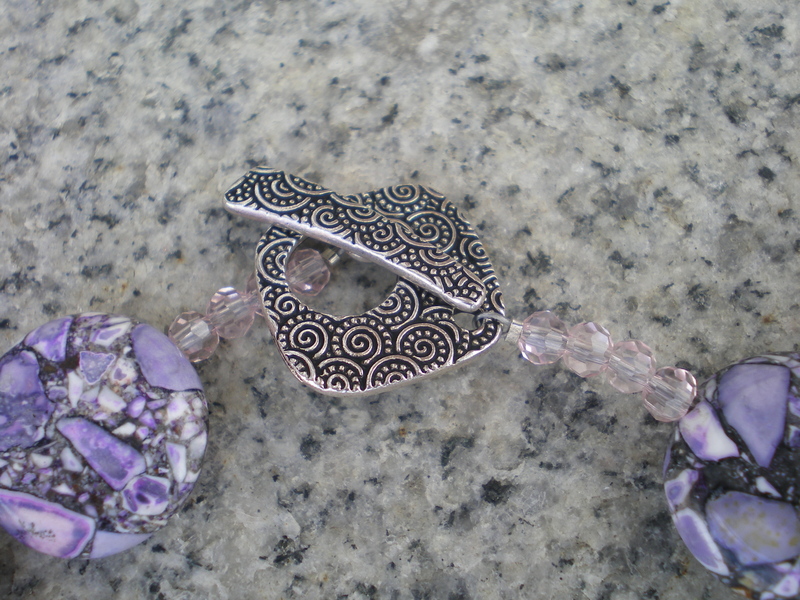 Antique silver swirl pattern toggle clasp. 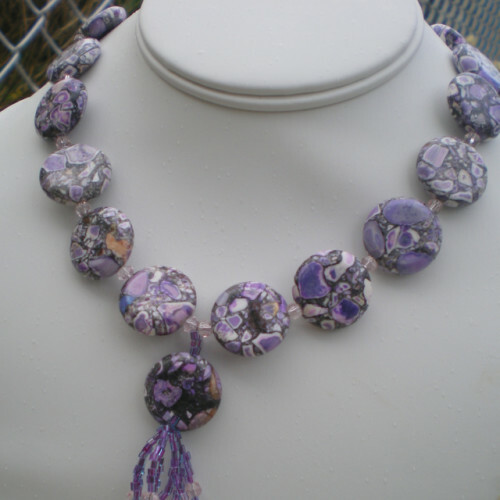 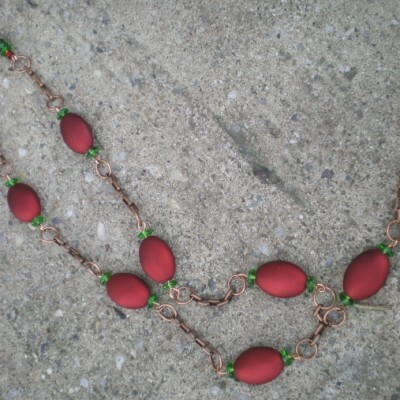 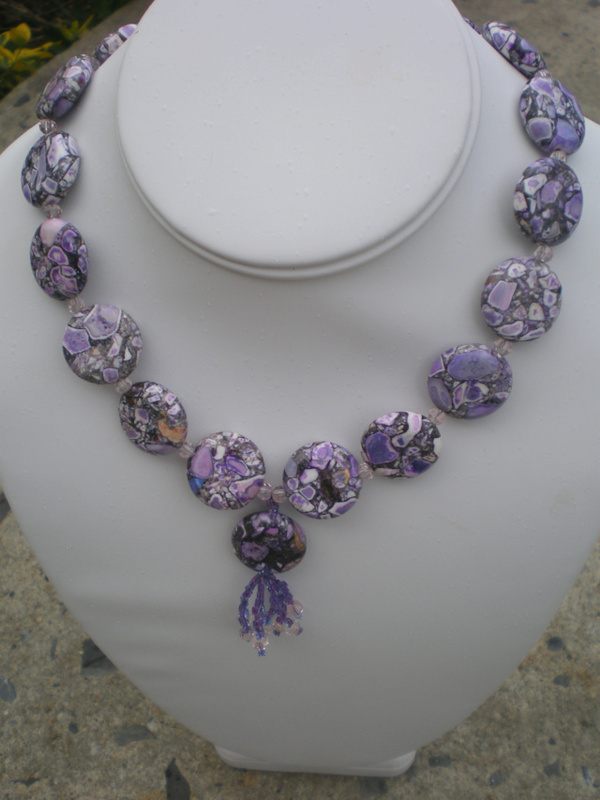 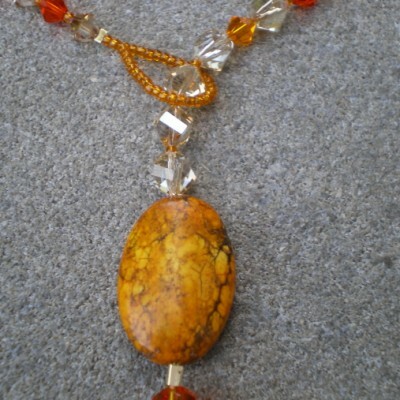 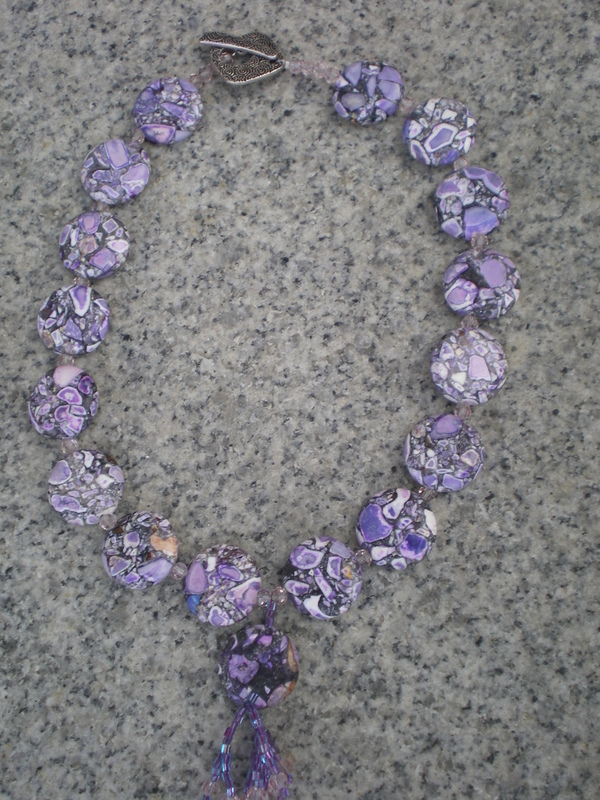 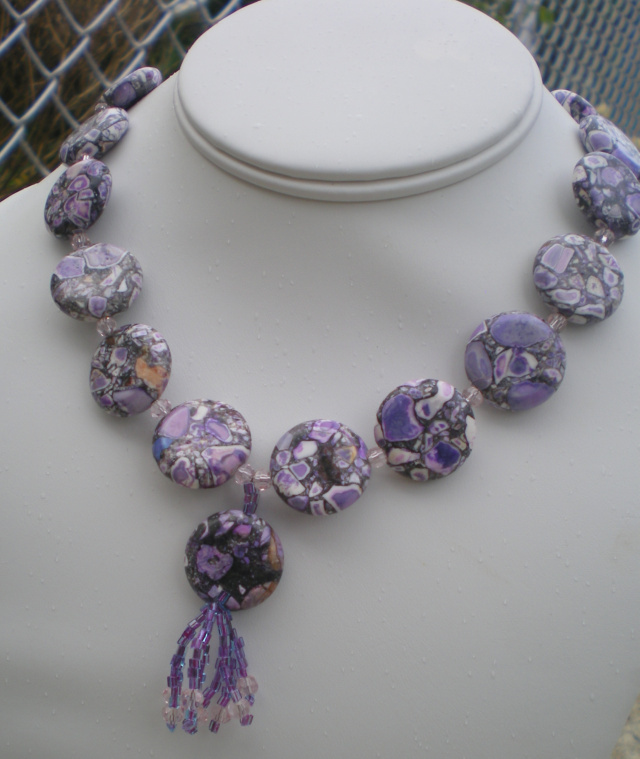 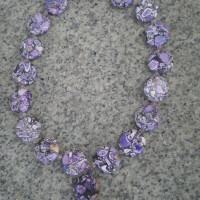 Be the first to review “Purple Mosaic Magnesite Necklace” Click here to cancel reply.